Still winless against ranked teams, the No. 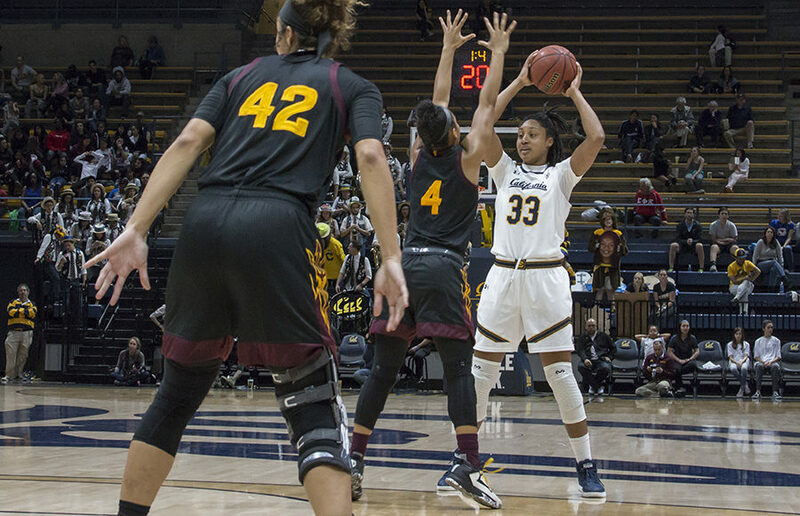 25 Cal women’s basketball team will attempt to toughen up against arguably its toughest challenge of the season this weekend, traveling up north to the state of Oregon for a date with two of the Pac-12’s best. Once upon a time — last year and nearly every year in recent memory — the Stanford women’s basketball team ruled the conference. There’s a new sheriff in town this year, however, as the mighty Cardinal have taken a backseat to No. 6 Oregon, the current favorite to beat out west. Trailing the Ducks (20-3, 9-1) by a handful of spots are the No. 16 Beavers (16-5, 7-3), Cal’s opponent Sunday afternoon. With the Bears (15-6, 6-4) sitting at 0-6 against ranked teams and with four Pac-12 squads currently slotted ahead of them in the top 25, this weekend stands as a defining set of games for Cal. To say it won’t be easy is an understatement. Oregon head coach Kelly Graves has the Ducks — winners of 12 of their past 13 games — clicking on all cylinders heading into the second half of conference play. For a team that has excelled lately with defensive pressure and forcing turnovers, Cal will have its hands full with Oregon’s primary starting five, all of whom average at least 10.5 points per game. Sophomore guard Sabrina Ionescu — last season’s Pac-12 Freshman of the Year — paces the pack in nearly all facets. Ionescu leads the entire conference with an average of 19.5 points and also puts up 7.6 assists per game while connecting on an astounding 45.6 percent of her 3-point shots. An East Bay native, Ionescu has seen the court for at least 33 minutes in each of the past 10 contests — a testament to her durability and value. With not one but five triple-doubles on the year, it’s safe to say that Ionescu is the leading candidate for Pac-12 Player of the Year, but she’s not the only star that the Bears will need to overcome Friday evening. The Ducks are anchored inside by sophomore forward Ruthy Hebard, whose 63.8 percent mark from the floor ranks second in the Pac-12. 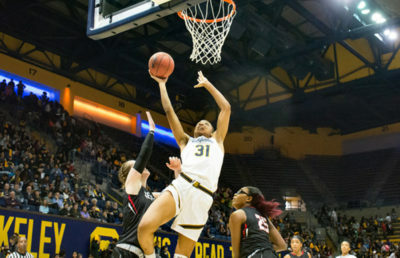 Ranking third in field goal percentage is Cal junior forward Kristine Anigwe, who counters Hebard with an identical physique and skillset. While Oregon possesses an advantage in the backcourt with Ionescu and savvy junior guard Maite Cazorla, the battle of Hebard and Anigwe will be evenly contested and an entertaining one to watch. After their fight with the Ducks, the Bears’ competition gets no easier against the Pac-12’s best defensive team. The Beavers have held their opposition to a conference-leading 34.6 percent from the field and a jaw-dropping 140 team blocks thus far. Pioneering Oregon State’s bid for a Pac-12 title is 6’ 5” senior center Marie Gülich, the only player whom Hebard and Anigwe trail in field-goal percentage. Defensively, Gülich has recorded an astounding six blocks in each of the past two games and multiple blocks in all but four games this season. The Beavers can get it done both inside and outside, also leading the Pac-12 in 3-point field goal percentage. Sophomore guard Kat Tudor leads a lineup of long-distance threats, especially worrisome for a Cal rotation that has struggled mightily with shooting from outside in recent weeks. In the Bears’ 57-42 loss to then-No. 25 Arizona State, the team finished just 2 of 19 from deep. 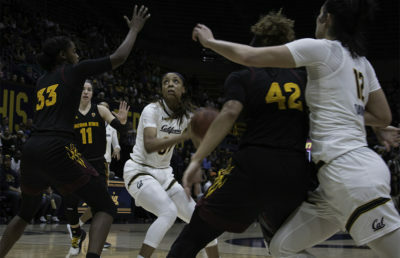 Starting guards senior Mikayla Cowling, freshman Kianna Smith and junior Asha Thomas will hope to fare better this weekend after shooting a combined 4 of 27 against the Sun Devils — a mark that won’t get the job done against almost anybody, let alone the Pac-12’s best. With its toughest competition ahead, it remains to be seen if Cal will play even tougher and with an edge that it desperately needs. 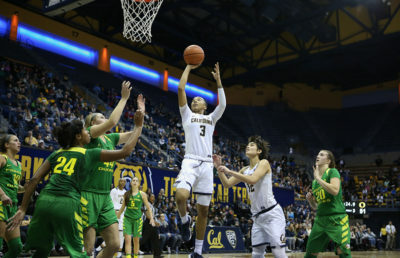 If their shooting woes continue throughout the remainder of Pac-12 play, it would be difficult to foresee the deep tournament run that the Bears have coveted all season.